I have moved a number of times in the past few years, and with each new city comes new doctors. Some of these doctors have been wonderful and others have been downright terrible. Recently, I was forced to wait nearly forty-five minutes in the office of a primary care physician whom I had never seen before, for an appointment that lasted approximately nine minutes, four of which were spent with the doctor. Feeling rushed, neglected, or ignored by your doctor is not uncommon. 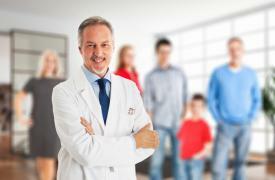 According to a 2012 study published in the Annals of Family Medicine, the average primary care physician in the U.S. is responsible for approximately 2,300 patients. This number far exceeds what most practices can handle. So, visits are short and neglect is high. One Canadian and U.S. study found that doctors interrupt their patients, on average, within 23 seconds of the time the patient begins explaining his or her symptoms. Choosing the right primary care physician for your needs is essential, but the process can be overwhelming if you are unsure where to start. There is a lot to think about–experience, health plans, online access, communication with patients and much more. 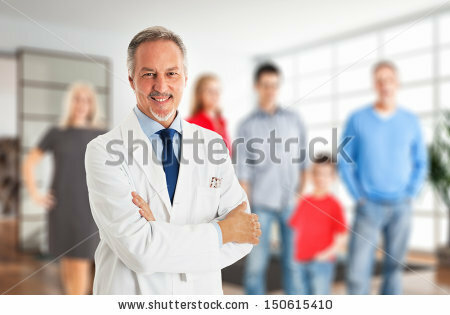 Is the doctor accepting new patients at this time? What days and hours are patients seen? Is the doctor available for telephone consults? Will the doctor answer email questions from me? What is the doctor’s policy regarding prescribing medication over the phone? How long must I usually wait for an appointment? Will I be seen right away if it is urgent? Do I feel comfortable talking to this person? Does the doctor understand my health concerns? Do I feel rushed or dismissed? Is the doctor taking time to explain things in detail? Once you have found a primary care doctor that you like, effective communication with that doctor starts with asking the right questions and maximizing the time that you have with him or her. Often, patients feel too nervous to ask bold questions. Offending your doctor should be your last concern. If it helps, write down a list of all the things you intend to discuss during your appointment, so you don’t leave anything out. After all, it is your time, your money and your health at stake. Your primary care physician should be someone who knows what is important to you, understands your medical history, and is someone you want to sustain a long-term relationship with.